I seem to be obsessed with testing out liquid liners at the moment, I'm just always after finding that perfect liner and if your looking for a good, affordable option then MUA have it covered with their Extreme Felt Eyeliner. Firstly MUA's Extreme Felt Eyeliner in Black will set you back a teeny, tiny £2.00 which lures me in straight away, I mean who doesn't like a beauty bargain ha ha. The packaging of the felt liner is quite simple just like most liners on the market and has a very secure pull off cap which is great as you know your liner wont dry out as easy, it also holds 1.2ml's worth of product. The pen/nib applicator that the liner has is very sharp and precise, making its great for any detailed work or if you like to create very thin lines, which is great for those days when you want a less dramatic eyeliner look or if you have small eyelids like myself, this eyeliner will certainly work well and not take up so much lid space that thicker liners are prone to doing. The liner is very easy to use and control, the nib has a good amount of flexibility to it but is sturdy at the same time which is great for easy movement and helps create that lovely winged out effect. The pigmentation of the liner is really good, its nice and black so theres no need to go over and over your lines which is a bonus. The lasting power of MUA's offering is also good, I found that the line on my upper lash line lasted all day and well into the evening but the wing/flick did start to fade ever so slightly after around 8 hours or so, which personally for a £2.00 felt liner ain't half bad, considering I have oily eyelids too. 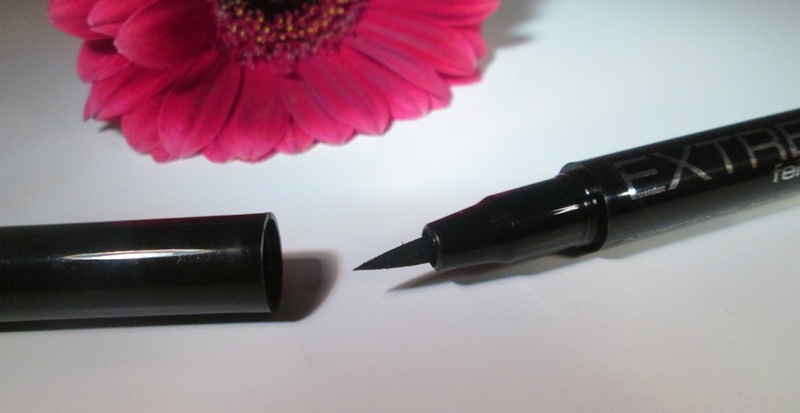 Overall I'm super impressed with this bargain of an eyeliner, its great for everyday use, doesn't smudge or move, has good lasting power and is really easy to use. It actually really reminds me of Rimmels Scandaleyes Precision Micro Eyeliner, so if your looking for a dupe MUA's offering would certainly do the trick. 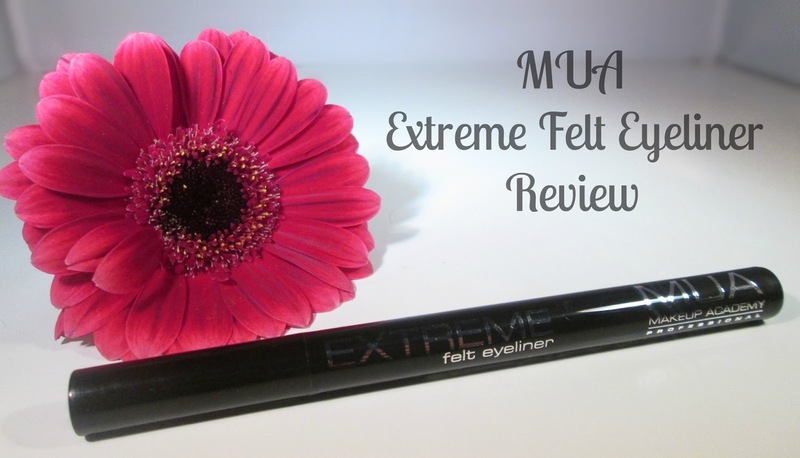 Have you tried MUA's Felt Eyeliner?? What did you think?? I'd love to know!! love the look of this - at £2 it might even pip my favourite collection one to the post! definitely going to be giving it a try! I think that wing is perfect and your lashes look amazing! What a great budget liner and it stays so well! I have this too but I can never get on with a felt tip style eyeliner.. always going back to my trusty liquid.